As technology continues to change our lives, specifically the way we travel, travel agents are pit against travel sites, such as Travelocity, Expedia and Orbitz, in a battle of better travel. 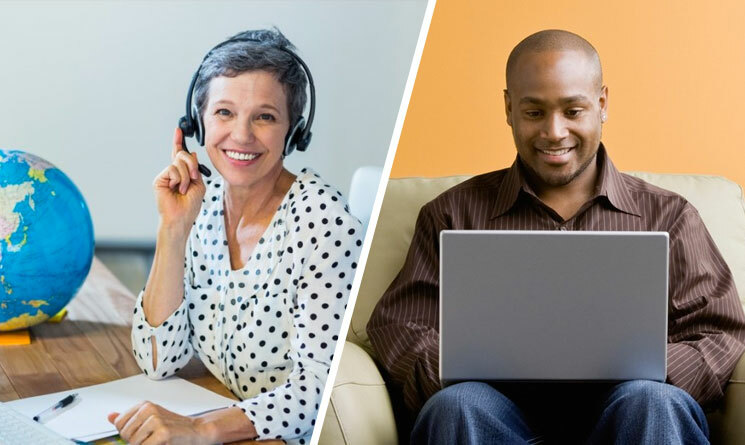 This travel agent vs. booking online struggle may seem like an impossible victory for travel agents—since many people attempt to plan their trips themselves—but the opposite is actually true. Even though it appears cheaper and simpler to book travel on your own, it just isn’t the case. In fact, planning a trip is much more difficult than ever before because the people trying to do it all on their own don’t reallymuch about the travel industry. However, some travelers are recognizing their past mistakes and turning to the experts for guidance once again. As reported in 2014 by MMGY Global—a travel-marketing agency that researches travel patterns—wealthy and millennial travelers are starting to rely less on travel sites and more on travel agents. Using a travel agent is the smarter option. It’s the best way to make sure that every trip you go on will run smoothly. Besides having someone else to bear the brunt of the travel planning process besides you, travel agents have access to inside information regular consumers just aren’t privy to. Think about the last trip you went on—whether it was by yourself, with friends or with family. There was probably a lot of researching and organizing involved. As much as you love to travel, it’s safe to say that you can live without that part of the experience. Wouldn’t you rather have someone else do the work for you? Hence the need for travel agents. All you have to do is communicate to a travel agent what type of trip you want to go on and then sit back to hear what location, resort or cruise line would work best for you. There’s no need to sit on a computer for hours and visit countless travel sites when travel agents are paid to know everything about travel and arrange the best trips for their clients. Travel agents are passionate about travel and helping customers bring out their inner travel enthusiast too. They’re not planning trips because no one else in their group of friends wanted to take the time to arrange everything, so they got stuck doing it. They love going to new places themselves and want all of their clients to feel the way they do when they travel. Most travel agents go to many destinations on their own, not only because they enjoy it, but because it allows them to get first-hand experience. They can take their newfound knowledge about a certain location, hotel, resort or cruise line, and relay that information back to their clients. For instance, InteleTravel is a host agency that allows people to become independent travel agents. We offer our agents education resources in which they can go to different locations and learn as much as they can about travel in order to become experts. Though you can read customer reviews, the credibility of those reviews are always in question. It’s better to hear from a travel expert and his or her take on a travel destination than a stranger on the internet. Having access to this knowledge helps you get a good idea of what to expect, which allows you to avoid any surprises on a trip. Although you might think you know what you’re doing when it comes to travel planning, you are most likely unaware of certain travel industry secrets. For example, most travel sites are actually owned by one or two companies. This means all that time you spent comparing prices wasn’t worth it because there’s a good chance you were comparing two sites that are owned by the same company. Using a travel agent allows you to skip over this obstacle. 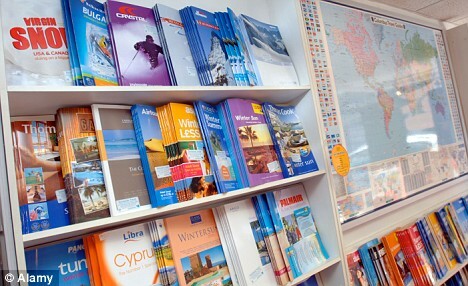 Travel agents offer their clients valuable advice as well. They can recommend the best cruise lines for families or solo travelers. They know the best time of year to go somewhere and the most popular resorts that offer great amenities and that have must-see attractions. If you need a car rental on your trip, they’ve got you covered. If you’re not sure if travel insurance is necessary, they can point you in the right direction. If you’re required to bring any travel documents, they will inform you. Travel agents can even help you plan an itinerary for your trip and book any activities that you are interested in doing. When you work with a travel agent, both of you get to know each other. You’re not conversing with a faceless website that doesn’t really care about your travel preferences, any further accommodations you need or what your budget is. Travel agents really care about their clients and the last thing they want to do is arrange a trip for someone who ends up unhappy with the end result. Think of it this way: If you knew someone who was a travel agent, or if you yourself were a travel agent, friends and family would rely on this person to book their trips rather than a stranger. Booking engines are strangers. There's no real relationship. Interacting with a travel agent—an actual person—who knows you and has your best interest at heart is a real relationship. Travel agents have relationships with not only their clients, but with various travel suppliers, which allows them to find the best rates for any trip. 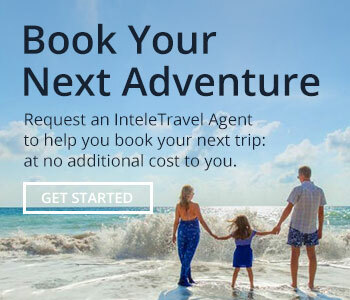 InteleTravel agents, for example, are privy to countless discounts and deals because of their connections to Royal Caribbean, Club Med, American Airlines, GoGo Vacations and Travel Insured—just to name a few! As a result, they know about certain deals that you won’t be able to find on the internet, no matter how many hours you search. Travel agents can help you get upgraded to better hotel rooms or get half off a person on a cruise. And since you develop a real connection to your travel agent, he or she will make sure that you are more than satisfied with every trip. What if you know that you want to go on vacation with your family, but you have no idea where? Having a lot of personalities and preferences in a travel group can be overwhelming for anyone, especially when you know that if someone is unhappy with the destination or hotel, for instance, you’re going to have to hear about it for the rest of the trip—and probably afterwards. A travel agent can listen to specific requests or ideas. If one person wants to go someplace tropical in order to relax on the beach every day while someone else wants to go someplace that has extreme sports, a travel agent can find a location that offers both. You may be set on going to the Bermuda, but realize you’re more interested in activities offered in the Bahamas. If you’re traveling with your children or grandchildren, finding a location that has kid-friendly activities will be high on your priority list as well. They know what locations, resorts, hotels and cruise lines can best suit your needs and make everyone happy. Sometimes you need more than generic advice from a website to guide you. That’s where travel agents come in. You might assume that an agent is paid out of your pocket.The truth is that their payment comes from the supplier, never from the client. How does that benefit you? Suppliers offer discounts to travel agents to entice them to book their clients at their venues, so agents have access to steep savings that just aren't available to consumers who book themselves. For this reason, you save much more money on travel thanks to their help. So not only will you get to go on an incredible trip without having to do the work, but you’ll be able to go at a fraction of the cost. And as an InteleTravel agent, you actually earn a commission for booking that upcoming winter vacation, and basically get paid to travel. A travel agent is just a phone call away, so if a problem arises at any point during a trip, you have someone to turn to. Providing customer support is what continues to set apart travel agents from booking engines. There will always be a real person on the other end of the phone. Booking all your travel arrangements online means that you’re on your own if you have any questions during your trip. For instance, let’s say there’s an issue regarding your hotel reservation. Having worked with a travel agent rather than a website, you just have to make a phone call and he or she will find out what is going on and fix the problem for you. Thinking about how to become a travel agent, but don’t know where to start? Learn more about InteleTravel.